Christmas gifts at this price usually mean one thing – you’re buying for yourself! Hey, there’s no shame in that. Everyone likes to treat themselves now and then and if you can’t do it at Christmas when can you do it? Here’s our pick of some things that are currently in our Christmas Gifts Under £500 category. Dropper posts are becoming pretty much the norm on trail-riding mountain bikes. 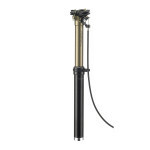 The RockShox Reverb is the one that everyone knows but in our opinion the best dropper post out there at the moment is the Thomson Elite one. It’s light, it has a really positive feeling actuation, it’s reliable, it’s serviceable, it’s re-buildable. It’s a Thomson. The best thing is, you can have a Thomson seatpost back on your bike – this time with up-and-downy-ness! Shoot HD point-of-view video. Genuine 1080P video and 16 megapixel photo function (you can even take photos whilst you’re recording video). Comes with a variety of mounts in the box (curved surface, flat surface etc). The sharp wideangle lens offers a wide field of view for eye-catching video without having to be overly-precise with how the camera is mounted or pointed. It’s waterproof out of the box to IPX7 level ie it’s protected against water immersion for 30 minutes at a depth of 1 metre. 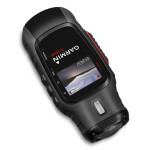 Unlike some other action cameras the VIRB has a built-in LCD screen. This is for menus, previewing/framing video and also video and photo playback. 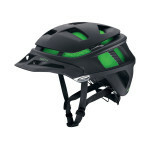 The season’s must-have noggin protector for the discerning enduro rider or racer. Available in black, white or orange. As well as looking the part, the Forefront has some unique design and construction. It’s not made of polystyrene like every other helmet in the world. It’s made of a honeycomb-like material called Koroyd. Google it if you want. It’s kinda interesting. 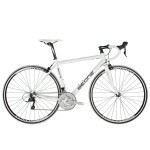 Under £500 is the point where you can start to find some worthwhile, good quality bicycles being offered in the sales. We have a bunch of such bikes from BeOne. These bikes were great choices even at their RRP prices. We don’t have all sizes available in a lot of these models but it’s certainly worth you having a quick look to see what we have. They won’t be around for long. The BeOne Storm Sport road bike – Merlin Cycles price £449.00 (RRP £669.00) – would make for either an (this is an old post and the linked content no longer exists)excellent starter bike or a capable training bike. A quality aluminium frame finished in a proper paintjob. The fork up front is a carbon one, which is a really benefit on a bike such as this as it makes for a lighter and less harsh front end. The drivetrain is Shimano’s workshorse groupset – Sora. The finishing kit is all decent stuff from Clever. The Jade Sport Ladies road bike – Merlin Cycles price £449.99 (RRP £669.00) – is the same type of bike as the Storm Sport but in a women’s specific geometry, colourway and finishing kit. What about off-the-road bikes? 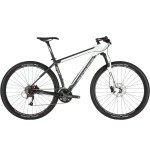 Well, the BeOne CRD Sport Ltd Alloy 29er mountain bike – Merlin Cycles price £325.00 (RRP £599.00) – is possibly the best bargain bike that we currently have. For a few quid over £300 you can enter the world of 29″ big wheel rock ‘n’ rolling. The heart of this bike -as with any bike – is the frame. The CRD is a nice aluminium frameset that will see you right for many a year to come. There’s a 100mm suspension fork up front. Shimano provide the gears, disc brakes and wheels. So no worries there. The available sizes are really limited so shorter folk may be disappointed. If you ain’t short – take a look. Ah, the Gabba. 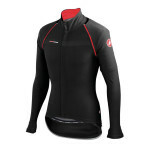 It’s rapidly become more than a Castelli item; it’s become the name of a type of cycling jacket in itself. Other companies explain their copycat jackets by saying “this is our Gabba”. There’s still no one who makes a Gabba jacket quite like Castelli. It’s the original and it’s the best. What’s so good about the Gabba? It’s warm but not hot. It’s genuinely breathable. It’s shrugs off a surprising amount of rain water. It’s an aerodynamic fit but doesn’t make you look like a wannabe try-hard. It’s a year-round genius piece of clobber that no one has ever regretted buying. As well as the Christmas Categories on our regular site we’ve created some special boards on Pinterest. 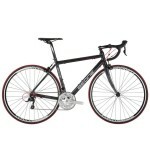 Follow Merlin Cycles’s board Xmas Cycling Gifts sub £500 on Pinterest. It’s like an online noticeboard. Or an online scrapbook. Or an online ‘mood board’. Photos are called ‘pins’. Themed collections of photos are called ‘boards’. Confused? Just have a look and it will all make sense pretty quick. It’s a visual thang. It’s great for discovering stuff and saving things in a handy way. Will the Apple Watch be of any use to Cyclists? Tagged £500, beone, beone bikes, castelli, Christmas, forefront helmet, gabba, garmin, garmin virb, gift ideas, heart rate monitor, hrm, mio, smith optics, thomson, Thomson Elite Dropper Seatpost, xmas. Bookmark the permalink.